HOME / FOOD / ACCIO FOOD! 8 FOODS FROM THE HARRY POTTER WORLD YOU CAN’T RESIST! 1. 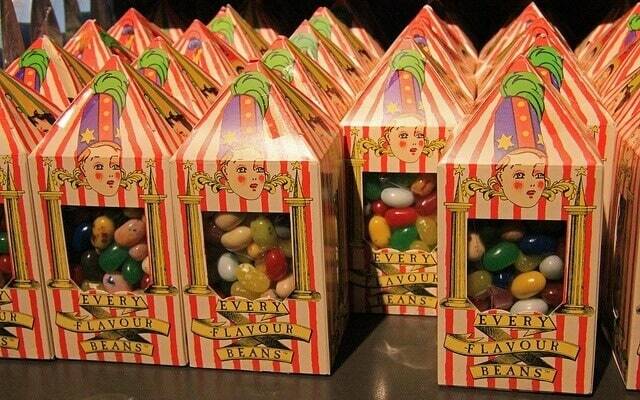 Bertie Bott’s every flavor beans: By every we mean every single flavor that you can think of. As long as it’s peppermint, chocolate, toffee or anything delicious, we would like to try every flavor. Except when it says it also includes bogey, vomit and dog food! Or Alas! Ear wax. 2. 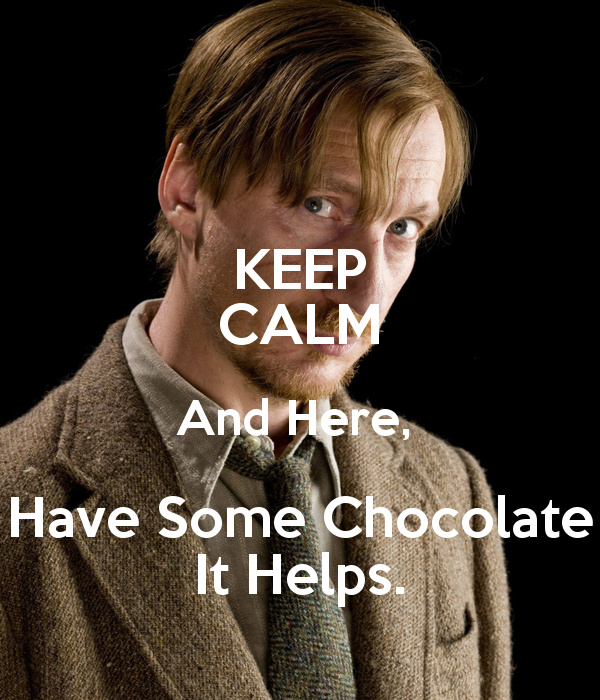 Lupin’s Chocolate: The chocolate looked delicious and it also helped cure Harry’s dementor blues. Though one thing common between the muggle and the magical word is; Chocolate helps cure depression! 3. 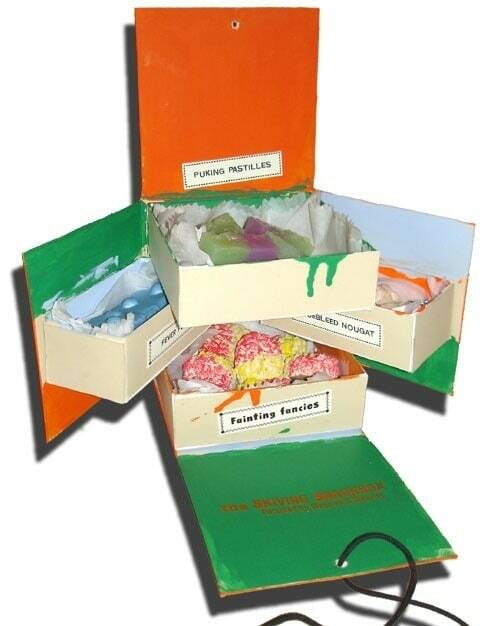 Fred and George’s skiving snack boxes: You eat something delicious and the effects make you appear to be ill so that you can ditch a boring class; Only Fred and George could think of something like this! 4. 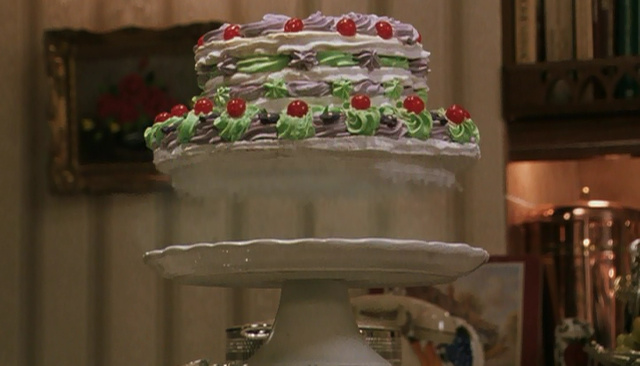 Petunia Dursley’s Pudding: The pudding looked extremely tempting. Sad nobody got to eat it. Thanks to Dobby! 5. 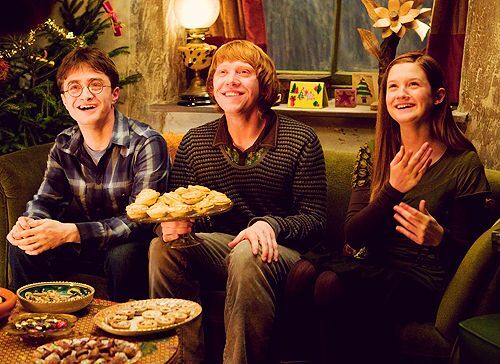 Everything Mrs. Weasley cooked: The descriptions of the fantastic dishes that Mrs. Weasley cooked were beyond delicious! Harry thought she was the best cook in the world. We don’t disagree! 6. 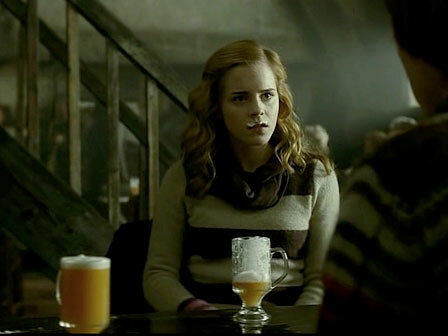 Butter Beer: Sounds mouth watering, right? The Three Broomsticks gave us serious pub goals. 7. 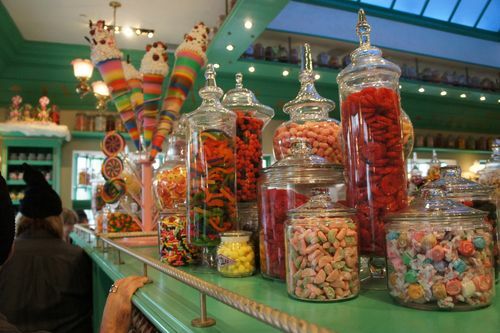 Everything From Honeydukes: We all become little kids when we enter a candy store. Honeydukes can give every candy store a run for their money! 8. 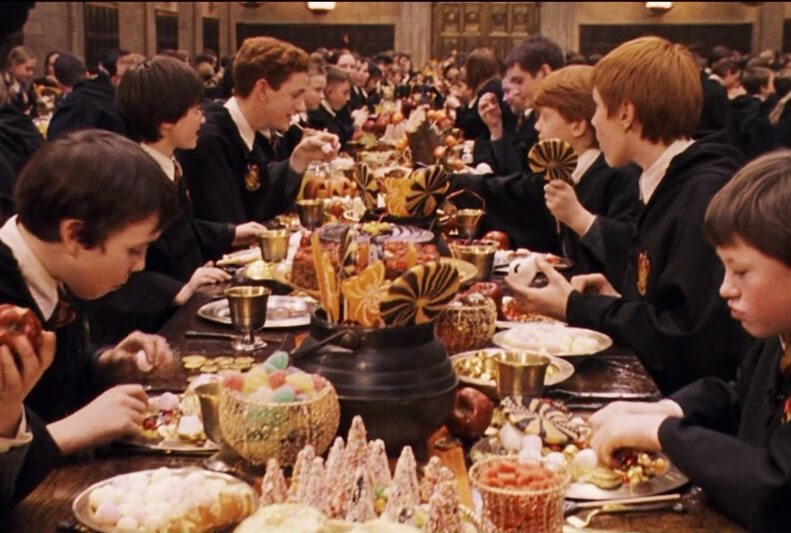 Feasts at Hogwarts! First days at school are supposed to be jittery, right? Not at Hogwarts! Who wouldn’t love a headmaster who could make food appear with just a clap? A lot of food! 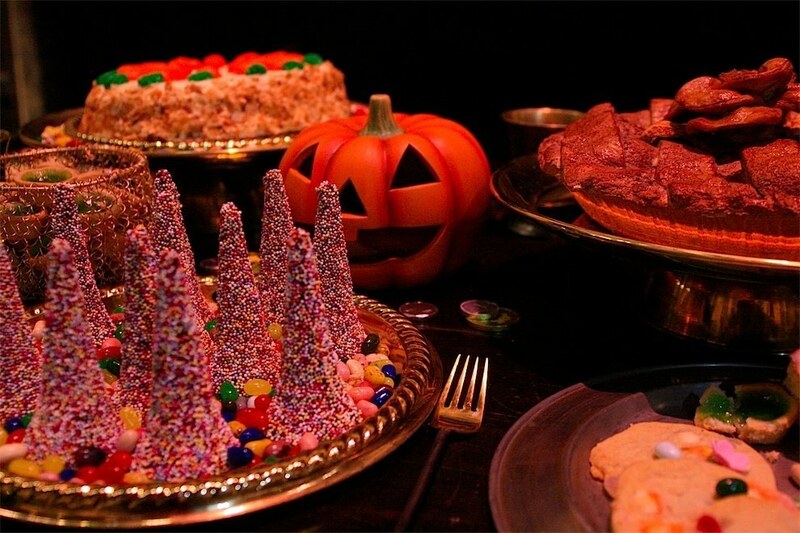 Hogwarts had a feast for almost every occasion, Halloween being the best! Even when there wasn’t any occasion the food looked delicious! 9. 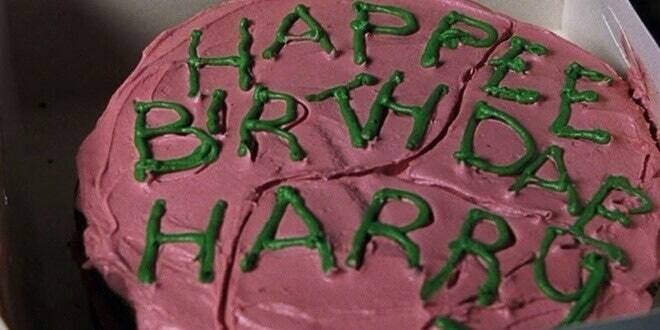 Harry’s 11th Birthday cake: Hagrid might be terrible with spellings and he might even sit on the food that he cooks but the love with which he baked Harry a cake is just adorable. Also the cake does look delicious! Feeling Hungry? Try these amazing Funfetti recipes.